Warmer weather, longer days... both of those thing mean there is more time to hop on the old bike and cruise the streets and country lanes. If you're a pro cyclist, or if you're keen to catch the bike-bug, Aldi's latest bargain range of goods will get you going.We check out the Aldi Cycling Specialbuy Range, available in stores and online from 21st May 2017. 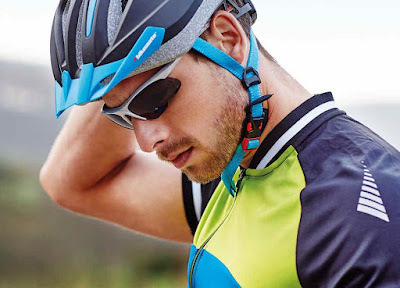 This isn't the first time Aldi have released a cycling range, and we're guessing it won't be the last. As with ranges we've reviewed in the past, the products on offer all come from Aldi's go-to maker of things, Crane, who always produce pretty decent clobber. This time round the range mainly features items of clothing, with a few useful accessories throw into the mix. The Aldi Cycling Specialbuy Range for May 2017 features... varying sizes and colours of cycling backpacks (£15.99), adult bike helmet (£9.99), metallic cycling shades (£1.99), men's base layer bib (4.99), cycling gloves (£3.99), bike pump (£14.99), ladies casual shorts (£12.99), men's all-weather cycling jacket (£19.99), rechargeable bike light set (£9.99), cycling jersey (£7.99), cycling jacket (£16.99), cycling bib shorts (£12.99), and quite a few more bits and bobs. Although nowhere near the most expensive from the range, these lights are probably our favourite items. 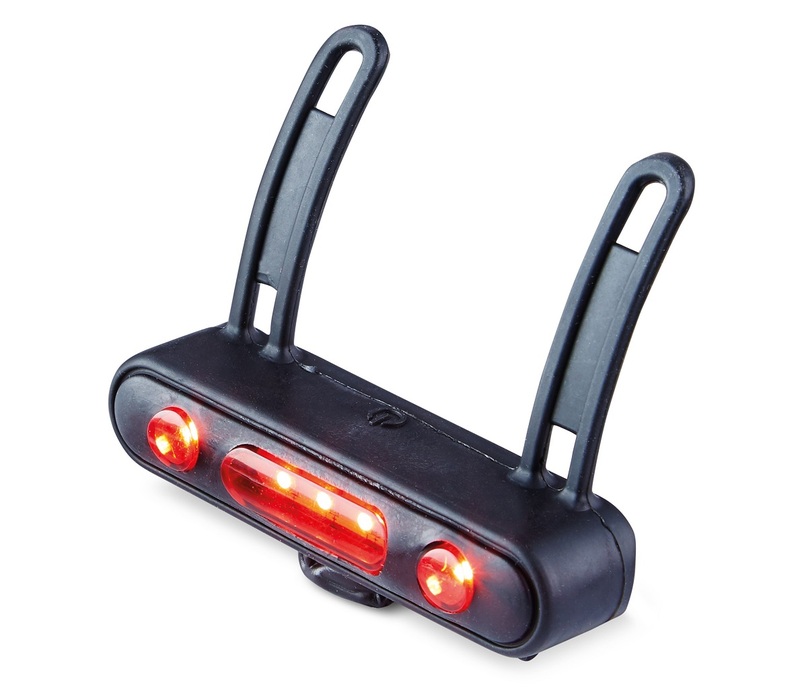 The two-pack, containing both a white and red light, recharge via USB and are bright and easy to use. Bike lights, even in the summer, are very important, so a pair that you can charge along with your phone at home or at the office means you're more likely to use them. These attach very securely as well, and give you a choice of where you strap them to on your bike. For less than a tenner, they're great. For those of us cycling for fitness (a number which sudden soars during the warmer months) you might find that a baggy t-shirt can be a bit of pain in the bum. 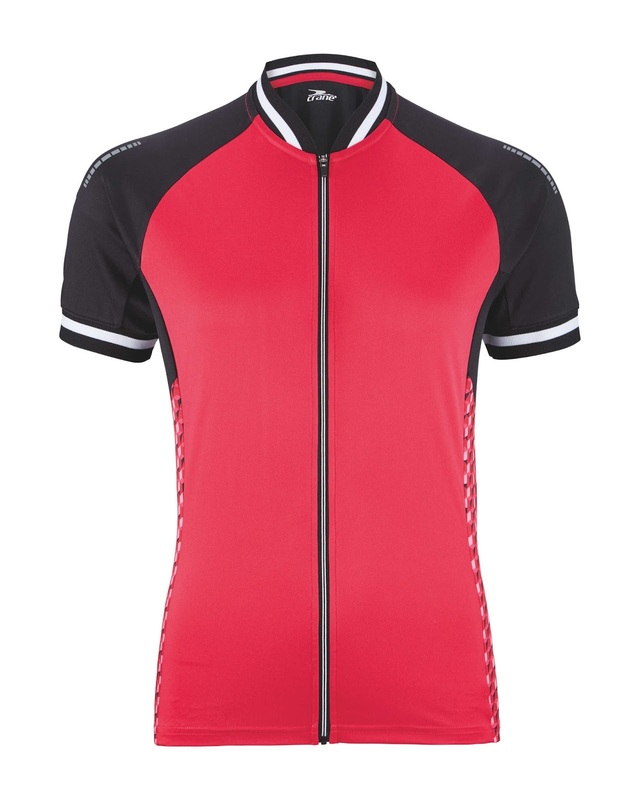 As well as getting clogged with sweat, the flapping fabric will cause air resistance and slow you down, so a skin-tight yet comfortable jersey is perfect - which is just what this is. Light and stretchy, the jersey is comfortable and features a zip closure on the front and pockets on the back. The same could be said for shorts while cycling for fitness. 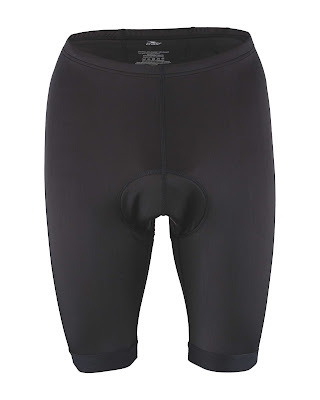 Although we've never been big fans of having our tackle on display, tight cycling shorts will benefit your performance and speed and these are actually pretty nice. Ultra stretchy pants these are indeed, and are cut to make your junk that little less obvious when you climb off your metal steed.